Our office defends those accused of theft / robbery in courts all across Los Angeles, Orange, San Bernardino, Riverside and Ventura counties. Theft / robbery cases are handled differently between counties and even between courthouses within the county. Riverside, for example, is quite strict with even first-time Theft/Robbery’s, as is Ventura. Los Angeles County is generally not so tough. Please click on the case summaries below to read a detailed description of our theft cases by courthouse. For Banning Courthouse contact information and a Google Map, please click here. 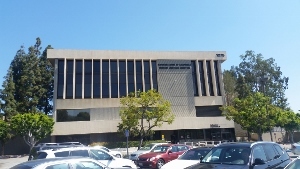 For El Monte Courthouse contact information and a Google Map, please click here. For Inglewood Courthouse contact information and a Google Map, please click here.